Today is one of those rare occasions… when I share one of my own cake designs. I primarily write about cake now, but occasionally I get the opportunity to design something new. I’ve been dying to post this for months, but I had to see it with my own eyes first! I am tremendously honored to have a second cake featured in BRIDES Magazine! Really?!? Yes, really! Back in September, I shared a cake I designed for BRIDES Most Beautiful Cakes of 2011. I truly did not think it could get much better than that moment, until the editor contacted me about a second cake! This time, the request was to create a design inspired by the oh-so-popular chevron pattern to be featured on their ‘White Hot’ trends page. And it’s finally here, in print!! 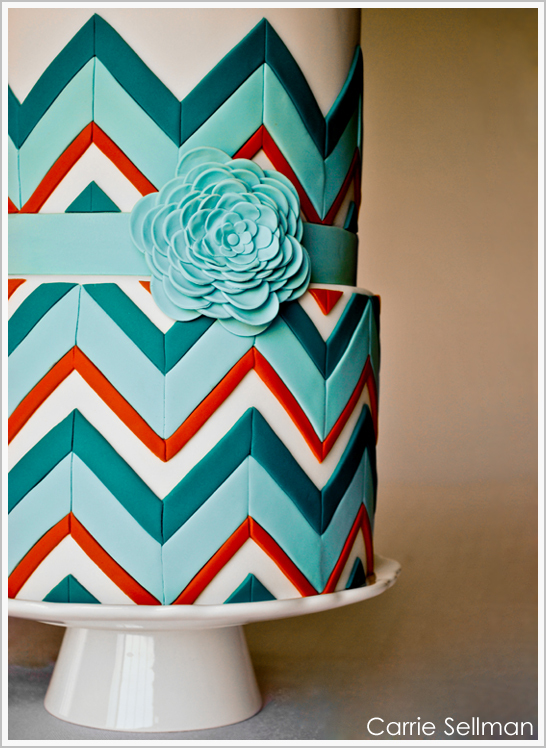 My Zippity Zigzags, Chevron Cake! Really?!? Can someone pinch me please? After the initial shock wore off and several late nights of sketching later, I sent over 5 different designs. Each design unique but all inspired by chevrons. Maria, the editor, helped me narrow it down to one final design which, of course, was by far the most challenging to create! A two-tier round cake featuring extra tall tiers with a detailed chevron pattern flowing across the tiers from bottom to top. The colors… teal, sky blue and deep orange. 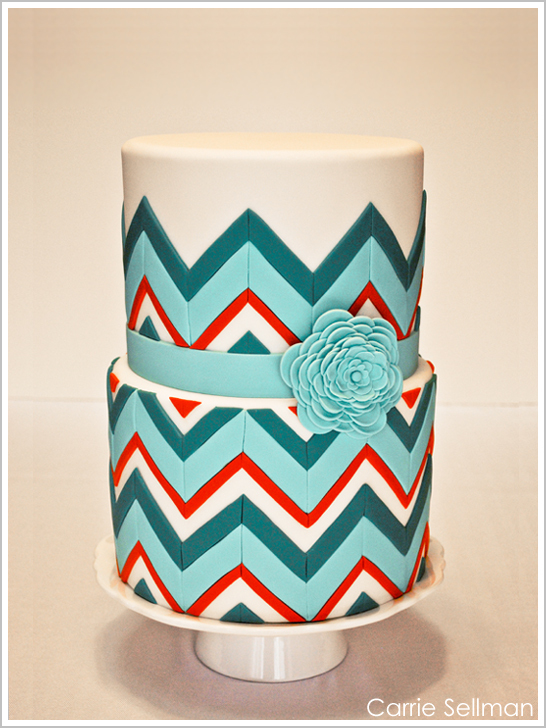 I must say, it is definitely easier to draw a perfect chevron pattern on a sketch than to create one on a round cake! Let alone to have the pattern flow across two tiers seamlessly. It doesn’t seem that tricky except that the top tier has a smaller circumference than the bottom tier. I know, that makes my head hurt too! My math skills were definitely put to the test on this cake. It’s actually somewhat of an optical illusion that the chevron pattern looks the same on both tiers, because it’s not. It’s two separate patterns. The angle of the chevron on the top tier had to be sharper than the bottom tier so the zigs and zags would align correctly. I’d like to think my high school geometry teacher would be proud. But in reality, he’d probably give me a B on this cake because my angles were just a tad off. The back doesn’t line up quite as perfectly as the front. But hey, every cake has a back, right? Each individual fondant ’tile’ is hand cut, trimmed and aligned. I wanted the fondant ‘ fashion’ flower to mimic a flirty, felt flower. Sort of like the one on your favorite belt or hair accessory. 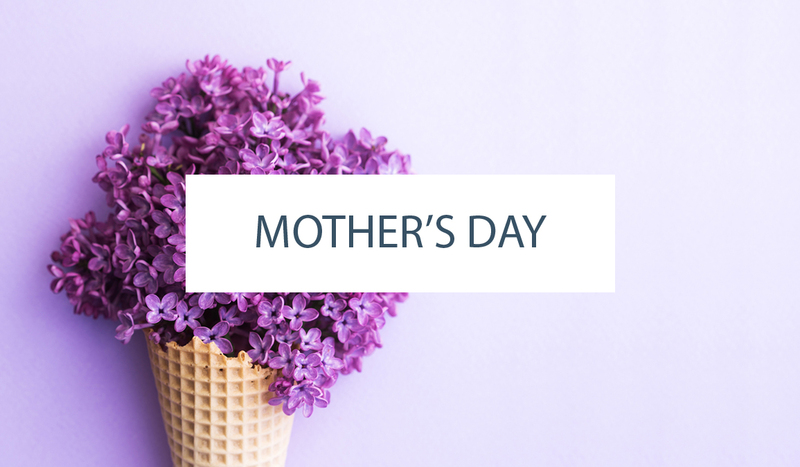 I loved this flower so much that I used the same technique on my daughter’s first birthday cake (stay tuned for pictures of that cake, hopefully to be featured sometime before she turns two…). And I’ve said it before but I have to say it again. Half Baked wouldn’t exist without the many cake designers who allow me to showcase their work on a daily basis. They provide us all with such great cake inspiration and this process only reminds me of the time and effort involved in every one of their creations! 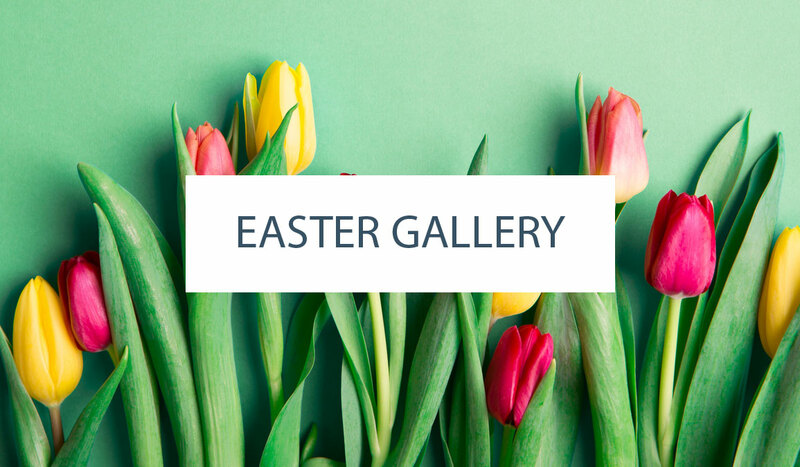 I can only hope my words do your designs justice. And last but not least, a huge thanks to all of you, for allowing me to share a bit of my work with you today. 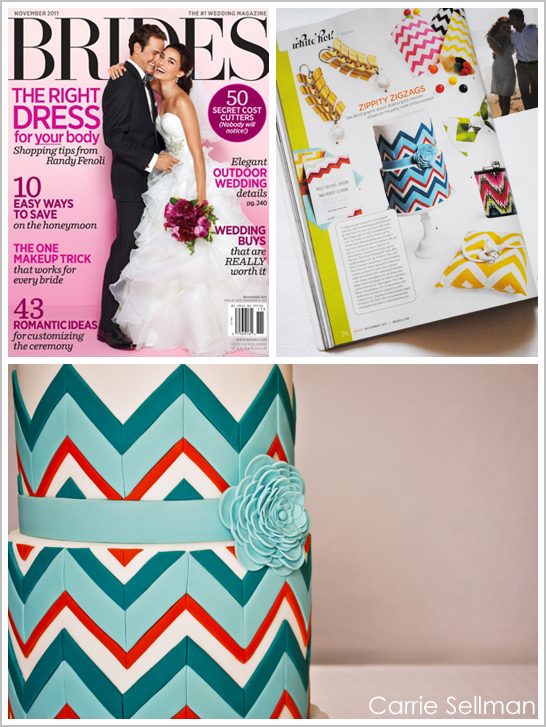 Be sure to pick up a copy of the November issue of BRIDES Magazine to see all of the zippity zigzag, chevron inspiration! WOW!! That is amazingly perfect and beautiful!! Wow! That is gorgeous!! Congrats to you! Gorgeous!!!! I could never have guessed how complicated it was because it looks effortless! So awesome!! Congratulations and what a BEAUTIFUL cake!!! LOVE it! Love the color, style, flower. Perfection! my favorite cake EVER! Congrats!!! i LOVE it! so, so proud of you! : ) i must go purchase a copy of the magazine! Oh Carrie it is just beautiful! Congrats on the fabulous feature. Yay, congrats, and it is such a FUN cake! Wow that cake is so beautiful!! 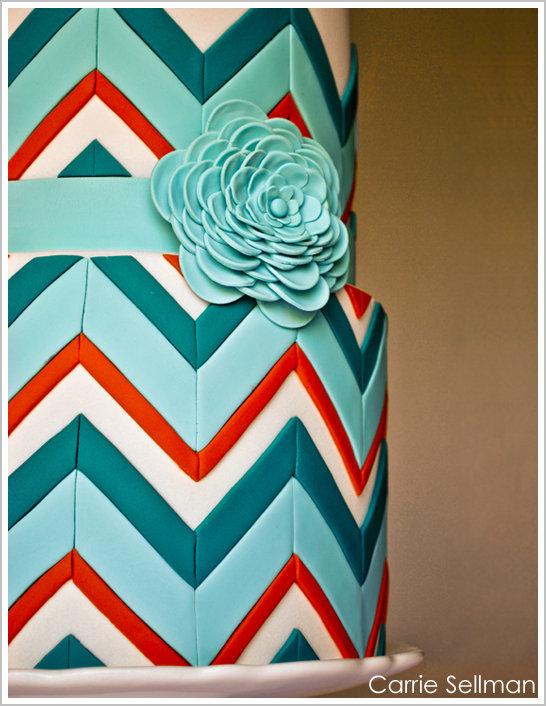 I love geometric patterns and this cake is totally a home run. Great work, and congratulations! Wow!! Amazing!! The cake is beautiful and many congrats to you on such an honor!! How perfect is that pattern and I love the flower as well. Well done and congratulations. Beautiful work! Have you ever thought about doing tutorials? I’m loving the flower and those strips, wow! WOW, your cake is pure perfection! Congrats on the feature. Congrats!! The cake is perfect! Wow That is one Gorgeous cake !! I love your flower do you by any change have a tutorial on how to make it ?? What an amazing cake. you should be very proud!! That is talent! Awesome cake! Love the colors on your beautiful cake. The angles are near perfect as far as I can tell. A job very well done. Congratulations on having your second cake featured in BRIDES! So glad I checked your blog tonight! WOW is RIGHT! LOVE the colors and lines…just gorgeous. This is simply amazing once more, CONGRATS! Amazing!! I got completely overwhelmed by the math and then dealing with the smaller upper tier! You did a fantastic job!